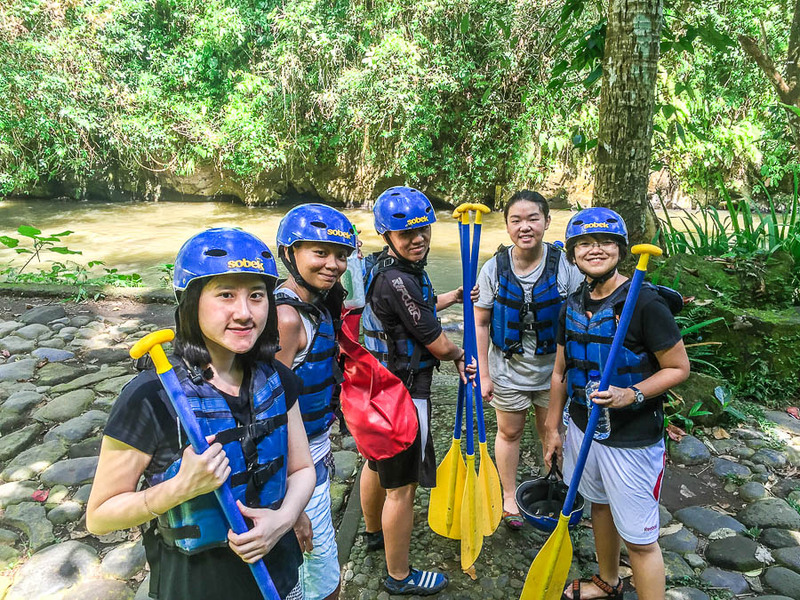 Rafting in Bali is safe for everyone. That’s my conclusion based on my own observation. 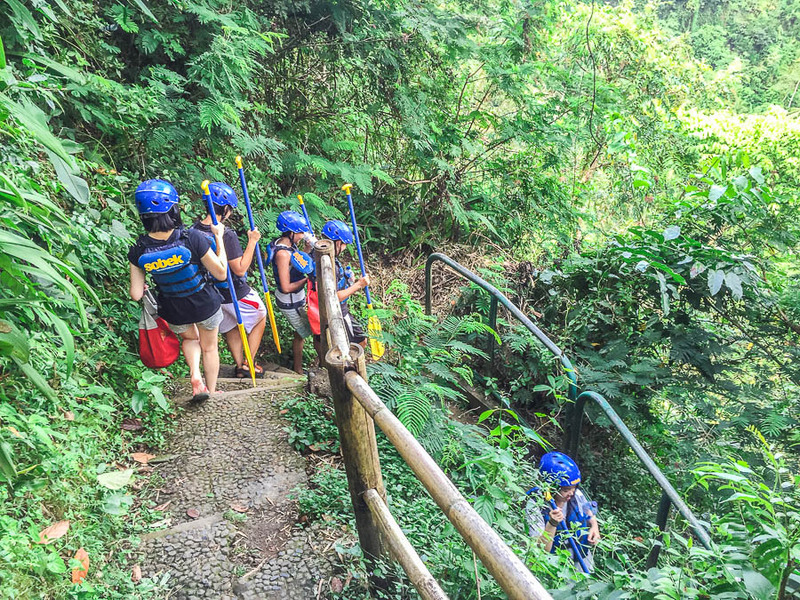 I witnessed families with young children taking part in rafting as if it’s a fun ride in a theme park. But somehow, I got nervous. I worried that I’d fall to the river. What if I fall alone while my friends are still intact on the boat, what if I knock myself on the rock while falling; I know they are ridiculous fears, but they are still my fears. 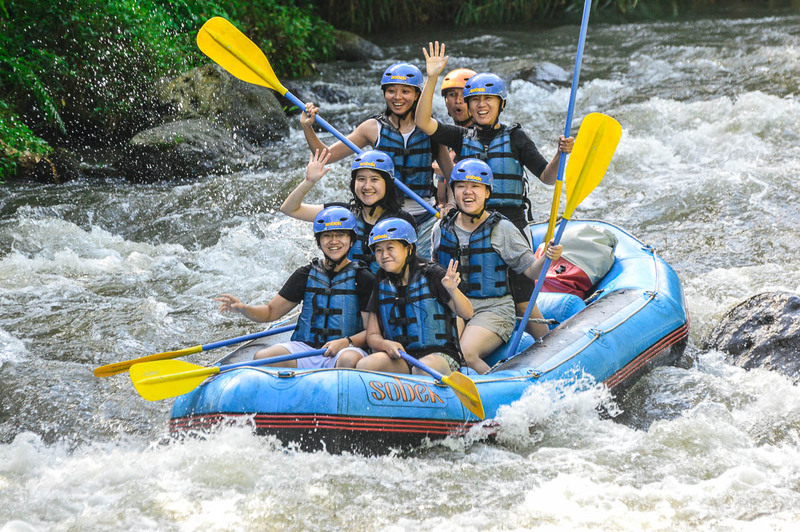 In my previous experience rafting in Bali in 2008 with my guy friends, it was pretty rapid and challenging. I guess these two are entirely different worlds: rafting with guys and rafting with girls. My initial fears were unfounded. 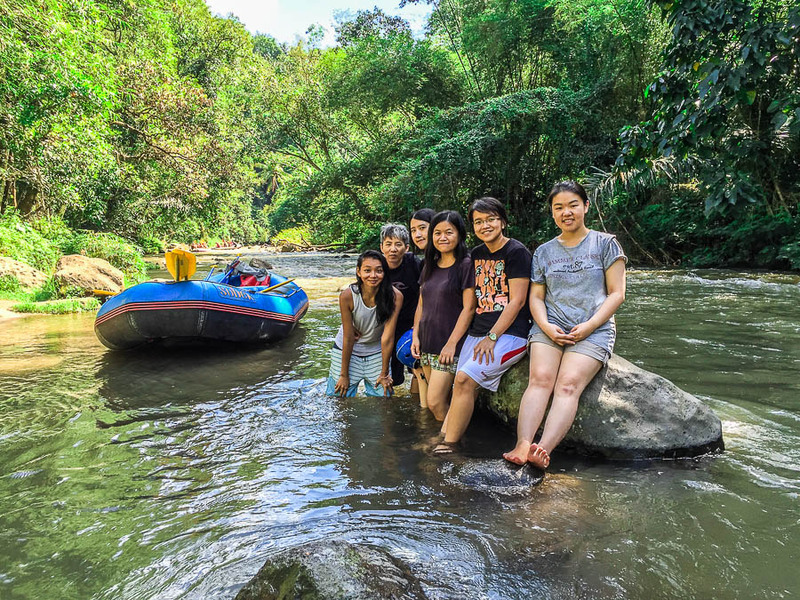 Rafting with girls was much calmer and slower, because we told our guide not to let us fall or get wet, lol! Anyway, let me rewind my rafting experience from the beginning. 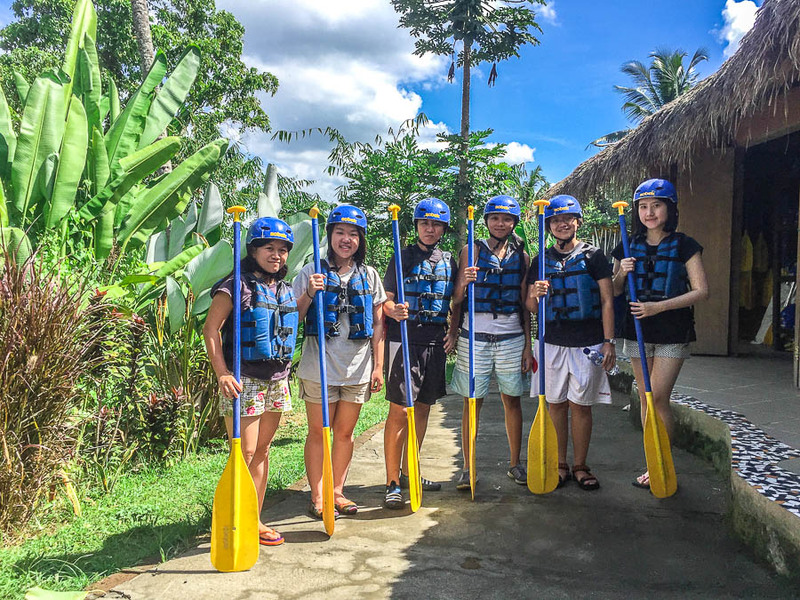 Prior to our departure to Bali, we have booked Rafting activity directly with Sobek. 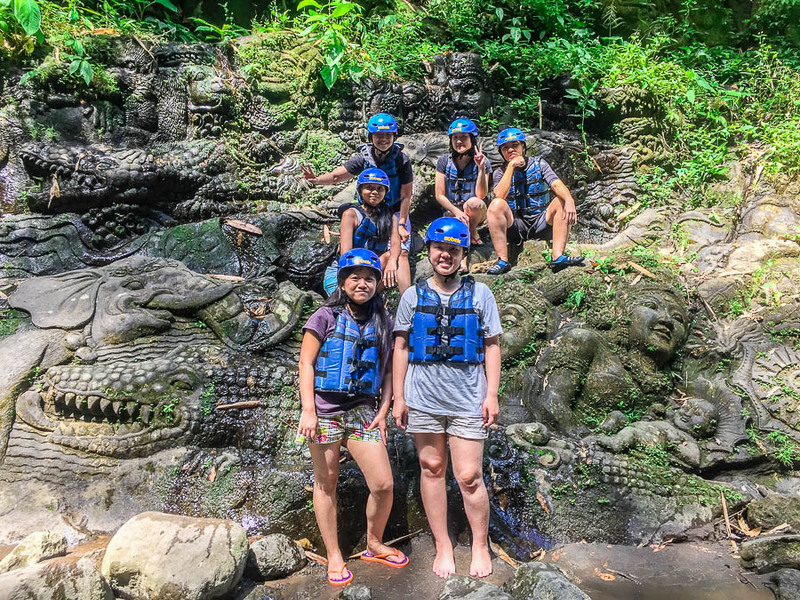 Sobek is the most established rafting provider in Bali, so we feel safer to join them. Sobek has 2 rafting location: Ayung and Telaga. We chose Ayung because it has level 2 and 3, while Telaga has level 3 and 3plus. We’re city girls after all and we just want to have girl fun. For Ayung, Sobek provide a choice of Classic or Light. Classic includes insurance, shower, buffet lunch and transport to/from hotel, while Light only includes insurance and fried rice lunch. 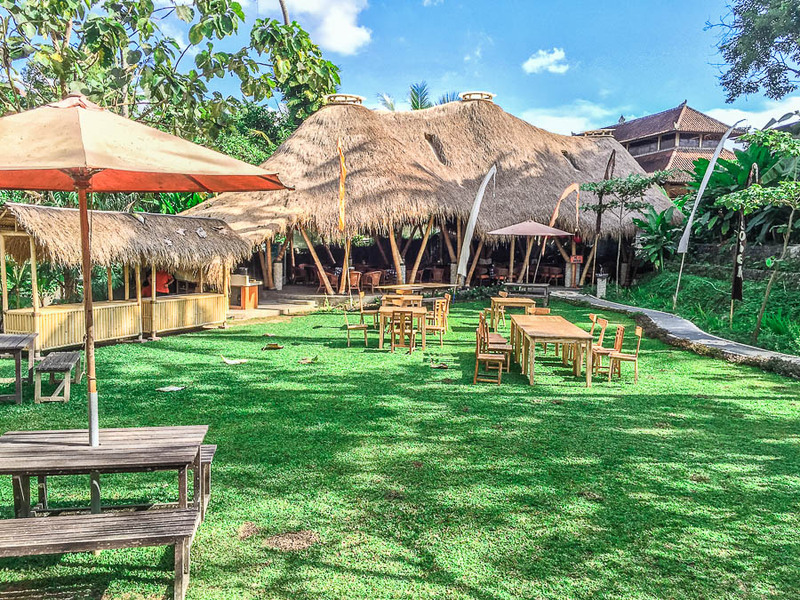 We chose Classic one, and paid Rp 400k for domestic, and USD 70 for foreigner. 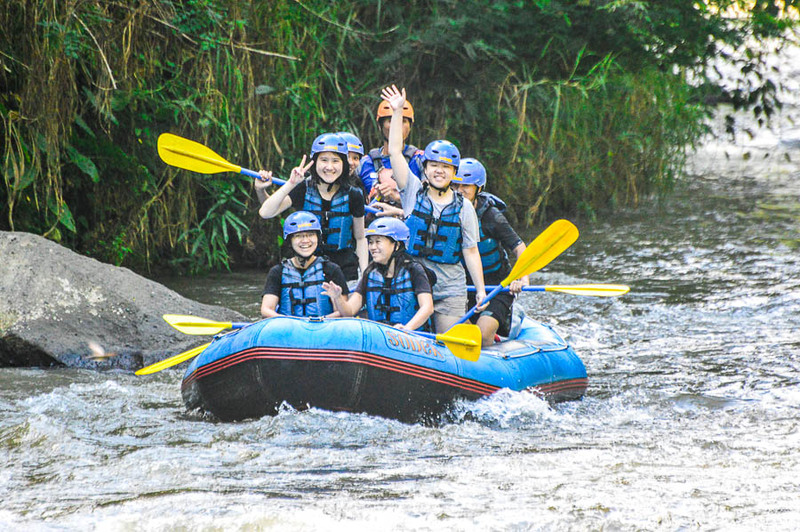 The length of Ayung rafting is approximately 11 km. Things to bring: wallet, phone, 1 set of dry clothes (shirt, pants, and undergarments), shampoo, facial wash, comb, rubber band for hair or glasses (if you forget to bring this, you can request from the guide), snacks for consumption during the journey, memory card or thumb-drive (in case you want to buy their photos). I suggest wearing hiking slipper, or non-slippery slipper, but it’s better not to wear expensive one, in case you lose it in the river. Things not to bring: probably DSLR and tablets are not good ideas. Since we chose the late morning slot, we were picked up from our hotel at about 9am. The journey from our hotel to the starting point was about 1.5 hours. The pickup car was actually not Sobek’s vehicle, it was outsourced. The car was supposed to send us from and to hotel only, without any stops in between. It would send us to starting point, and wait for us at the finish line. At the starting point, we kept our valuables (phone and wallet) in a waterproof bag and bring it with us. The rest of our stuffs were kept in a huge bag, locked and kept in the car. Both waterproof bag and huge bag are provided by Sobek. Then we were given life jacket, helmet and paddle. Afterwards, we started our journey of descending 500 steps down to the river. Once we arrived at bottom, the guide explained to us some basic commands such as forward, backward, left, right and stop. When the briefing concluded, we boarded the boat. Our waterproof bag was taken care by our guide, so that we could focus on our paddling! 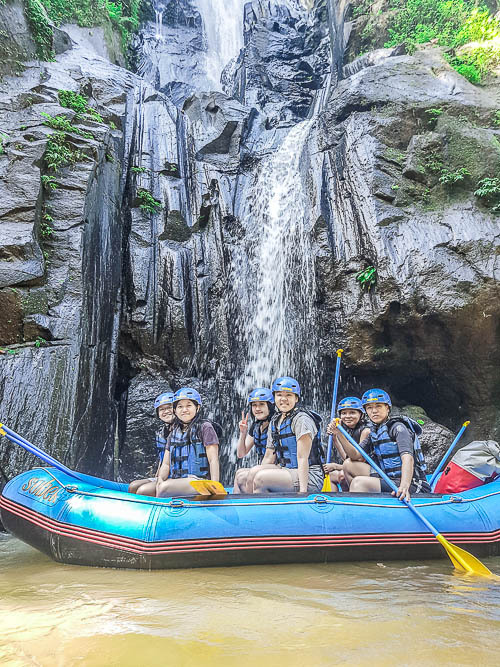 The rafting kicked off to a calm start with a few stopovers for photo-taking. Generally, the course is kind of flat, with currents and drops at a few places. If you ever get thirsty or hungry, which I doubt, you can buy overpriced food and drinks at shops that are set up throughout the river. Our guide stopped at one of the shop to let us rest. We did buy overpriced drinks from the shop, and we even bought one for our guide. It was a gesture to contribute to locals. 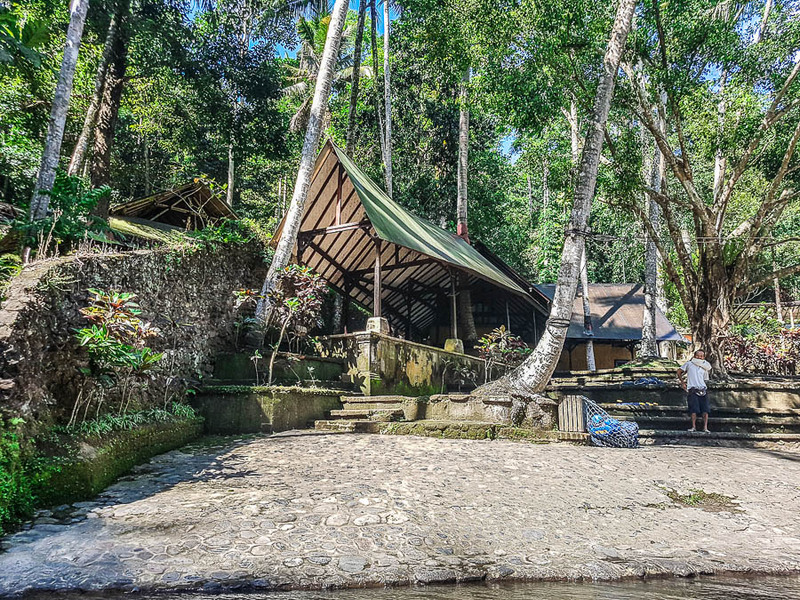 Other than locals’ shops, there are plenty of resort built by the side of Ayung River. 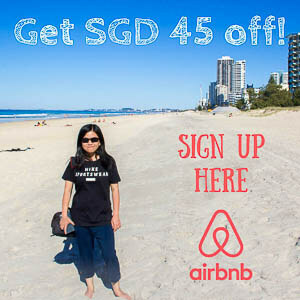 Some of them are: Kupu Kupu Barong and Ritz Carlton. My friend remarked that there were many carvings on the river wall, and wondered how long they’ve been there. Our guide said they were quite new, probably dated as far as 2 – 3 years back. 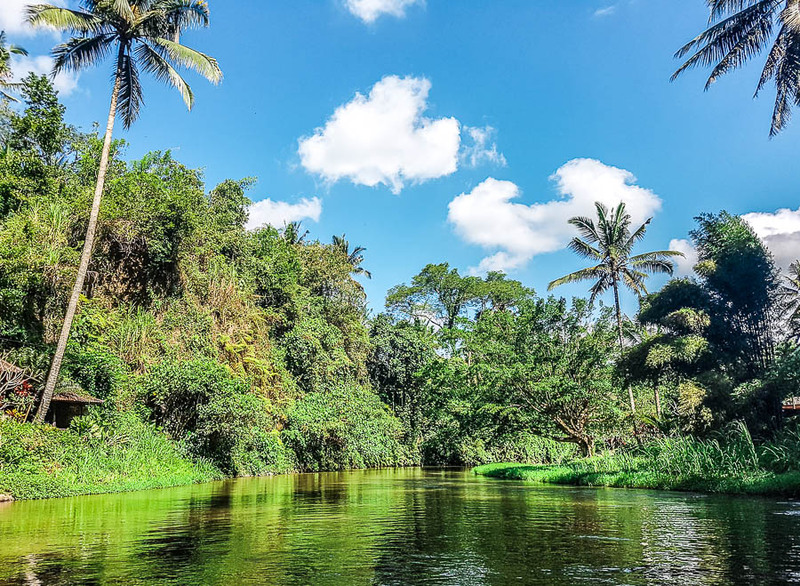 Ayung river is not only used by Sobek as a rafting location. There are many other companies that provide rafting there. It is so common to pass by other companies’ boats. When that happens, a battle commences! Yeah, it is a splashing battle. Each paddlers would splash the opponent’s paddlers. I was highly motivated to splash all my opponents to the point of absolute wet, however my skill wasn’t there. My friends kept on laughing at my effort to win the battles, but I was proud of it 🙂 My friend Ju at the last row was a wonderful warrior, just one splash from her could leave you completely wet. At some distance before the finish point, our guide told us to smile and wave to the photographer who would take our photo. So my friend Vina gave her signature politician’s wave proudly. At the finish point, we alighted from the boat and served ourselves ginger tea. There is a toilet too. 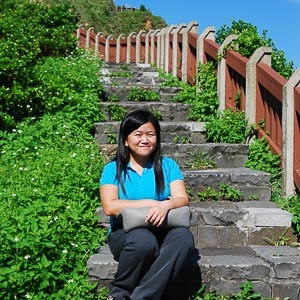 We took some rest before climbing up 230 steps to the road level. At the top of stairs, we crossed the road and finally arrived at shower & buffet area. We collected our stuffs from the car and went straight to shower room. A free towel was provided to each of us at the entrance of shower area. The shower area had quite many shower cubicles with curtains (aka no door). Some curtains were curled due to long term wear, so there was little privacy. Soap was available inside the shower cubicles, however you had to bring your own shampoo, conditioner, face wash, etc. Plastic bag to keep dirty clothes could be requested from the staff at shower entrance (same staff who gave out towels). Fresh from shower and hungry from “intensive” activity, we attacked the buffet. 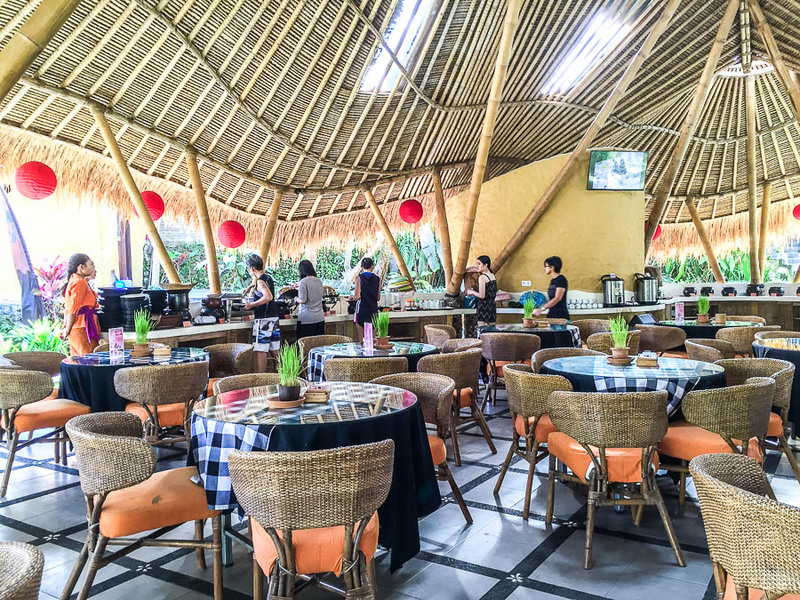 The buffet consisted of steamed rice, fried noodle, fish satay, perkedel (fried mashed potato), curry chicken, mayo potato, tempe, capcay (vegetables), crackers, chili, fried banana, team coffee and water. There were also soft drinks but additional charges would be applied. The buffet area. Look at all my hungry friends attacking the buffet. If you like outdoor setting, they have outdoor option for you! After buffet, we went to the photo stall to view our photos. The CD cost Rp 200k, while hardcopy photo cost Rp 70k. We decided to purchase the CD only. The staff also offered to make another copy at our harddisk or memory card for free, in case the CD got damaged. Unfortunately none of us had extra memory card or harddisk. Thankfully the CD worked when we got home! And with that, we went back. Instead of going back to hotel, we requested the pickup car to drop us at Kuta, because we wanted to explore Kuta on our last night in Bali. Sob. The story of our last night comes up next!